April 10, 2019 Madrid, Spain Join Tom Kuhlmann and David Anderson for helpful workshops focused on creating engaging e-learning, getting the right look and feel, and boosting your productivity. Get more info and register. April 12, 2019 Milan, Italy Join Tom Kuhlmann and David Anderson for helpful workshops focused on creating engaging e-learning, getting the right look and feel for your content, and boosting your productivity. Register. May 19-22, 2019 Washington DC Don’t miss concurrent sessions led by Articulate community managers Trina Rimmer and Nicole Legault, and see Articulate 360 in action in the Articulate booth in the expo. Learn more. June 3-4, 2019 Toronto, Canada Join the Articulate team to learn practical tips and tricks for e-learning design and working with Articulate 360 apps. June 6, 2019 Halifax, Canada Get practical strategies for creating engaging e-learning with Articulate 360 apps. Register here. July 24-25, 2019 Minneapolis, MN Join the Articulate team for workshops focused on e-learning design and getting the most out of Articulate 360. Register for one or both days here. August 14-15, 2019 Seattle, WA Dig into workshops that’ll help you boost your e-learning design skills. You’ll learn practical strategies for creating engaging e-learning with Articulate 360 apps. Register for one or both days. October 23-25, 2019 Las Vegas, NV Visit the Articulate booth and catch a stage session to see Articulate 360 in action. Register. November 4, 2019 Manchester, UK Join the Articulate team for workshops focused on creating engaging e-learning with Articulate 360. Details coming soon. November 6-7, 2019 London, UK Join the Articulate team for workshops focused on creating engaging e-learning with Articulate 360. Details coming soon. November 8, 2019 Edinburgh, UK Join the Articulate team for workshops focused on creating engaging e-learning with Articulate 360. Details coming soon. 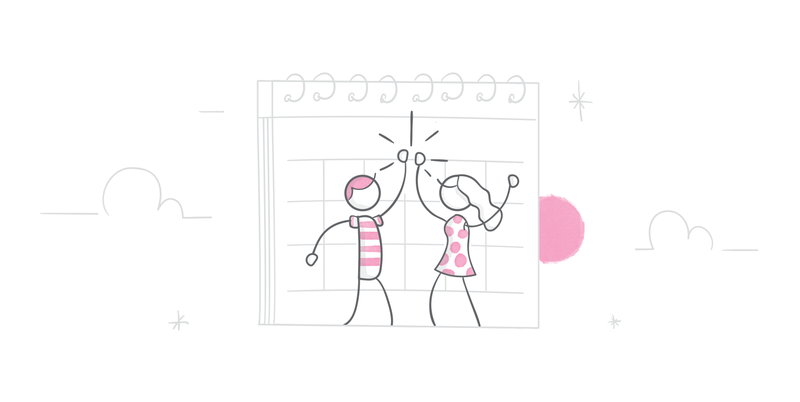 And if you’re looking for an opportunity to connect with other Articulate software users more regularly, check out our list of upcoming user group meetings. User groups are community-organized meetups of Articulate software users. They’re a great way to network, build your skills, and make new friends! If there’s no user group in your area, we’d love it if you organized one. Here’s more info on how. You can also let us know you’re interested in user groups in your area by filling out this quick form. Basel, Switzerland Check out the Meetup Group here. Boston Check out the Meetup Group. Hamburg, Germany Connect with organizers in the Meetup Group here. Lyon, France Sign up. If you’re interested in organizing or participating in a user group in another French city, sign up here. Memphis If you’re interested, fill out this form to be notified of upcoming user groups. Melbourne Click here for group details. Minnesota ISPI membership required. See their page for more info. Montpellier, France Check out the Meetup group here. If you’re interested in organizing or participating in a user group in another French city, sign up here. Munich, Germany Check out the Meetup group here. New Zealand Connect with other members here. Ottawa, Ontario Interested? Comment on this forum thread or fill out this survey. Paris, France Connect with the Meetup group here. If you’re interested in organizing or participating in a user group in another French city, sign up here. Pittsburgh Connect with organizers in this thread. Philadelphia If you’re interested, connect with organizers in this forum thread. Phoenix Connect with organizers in this forum thread. Seattle Connect with interested Seattleites here. St. Louis Find out more and register here. Stuttgart, Germany Check out the Meetup group here. Tampa Bay Check out this forum thread for more info. Toronto, Ontario Find out more here. Wisconsin You can connect with organizers here. Vancouver Island/Victoria Connect with the organizing crew here. Vienna, Austria Find out more in the Meetup group here. When is there going to be a Twin Cities (MN) group? Looking forward to connecting with peers. There is a group through MNISPI http://www.mnispi.org/SIGs/eLearningSIG.html Requires ISPI membership. Hi! I'll add this to the list above! Thanks for letting us know. Anyone heard of updates for upcoming meetings? I would love to attend in Los Angeles, CA or something within the city area. Hi there ladies! If you haven't already, please sign up in our user group interest survey: https://docs.google.com/a/articulate.com/forms/d/1sYm-G8b39Psi5zdjFCfeVaZWWALXmL9EY_Ax0CJwYHk/viewform With three of you, it also sounds like you might have enough interest to get one started! Would it be helpful if I connected the three of you via email to discuss further? Los Angeles or San Diego would be great. Southern California in general at least. I'd love to join an SD or L.A. meeting too! L.A. area anyone?? still nothing...? How is there not a Los Angeles group? If an Articulate moderator sees this. please let me know how I can get one started. Hey, what about the Midwest--Chicago! I'd love to see if there is any interest and help organize something in the area. I'm in Indianapolis, but would definitely participate in a Chicago-based group! I'm in Champaign, Illinois and would gladly attend at either Chicago or Indianapolis. Hi Stephanie I'm in Indianapolis also. Hopefully we can get a local group going! Hi Mary, I'm in the Chicago 'burbs and would love to have a group! I completed the User Group Quick Form Link above. It states we need a minimum of 10 people and they will keep me posted as to interest. There is also a link to the User Group Check List in the more info link. How would you like me to keep you posted? You can email me directly at mary.ward@anixter.com. Hi Mary! Thanks so much for your interest in getting one started. We'd love to support you and help spread the word. Please do check out Nicole's tips on getting a user group started: http://d.pr/f/1cEOK/2MKtHSSq If you'd like to connect with me we can chat further- kmeeker (at) articulate.com. If the other commenters are up for it, I can also connect you via email! I'd be interested in being connected by email - sorry, Mary I didn't see your last post until now! I am certainly interested. I also live and work in the suburbs of Chicago. I'll shoot you an email. I would certainly be interested in joining this group or helping out. I'd also be interested in a Chicago group! My co-worker and I are in Indianapolis and would be down with connecting with some folks. I am in Chicago and I'd love to see a Chicago-based group! We have some interest in Iowa as well. We could make a Midwest road trip to connect with some folks in Illinois, Iowa, or Wisconsin. Is the Chicago group a go? I would like to join. Would there be a fee? I am very new to the program and would appreciate any support. Hi Jessica! I am not sure I would be able to drive to Indy for an evening get-together. I reached out to Mary and I hope get some further information regarding this group. Looks like we have a few in Indy, but I will be honest...I am not the man to organize a group. HA! That isn't really on my strengths list. I would be happy to help do whatever else is needed though! I'm just going to do what Mary did! If you're interested in an Indy area gathering shoot me an email jessica.holland3902@indwes.edu We'll see what kind of interest there is and see what we can come up with! I am late to the game but I work out of Evanston and would love to be involved in an Chicago group. I have run a couple of groups in the past and quite enjoy helping any way I can. Hello, David. I was the organizer for a long time. But Sherrill Christo @ was able to organize the first meeting in December. Unfortunately, I missed this meeting, and have not heard back. Sherrill are you still coordinating the Chicago Group??? I just created chicagostoryline@gmail.com. Maybe we can start there. I'd love to be a part of a local group. Apologies if this is a duplicate post (I'm getting a weird error). I'd definitely participate in a Chicago-area group. The evite link listed in the email isn't valid. Can't wait to hear more! Hello y'all - I'm late to the party but did we setup a Chicago-area group. My name is Neil, I'm a Manager of Innovative Learning for a Professional Licensing company in Niles, Illinois. Would like to be a part of a group here. Looking forward to Chicago eLearning & Technology Showcase. I'm new to the conversation too, however, I would love to have an Elearning Heroes Chicago group! Hey what if we made local FB eLearning Heroes groups. Then we could schedule meet-ups? Hello - It appears comment feed has been going on for a while with some stop and go's. I'm wondering if Jill's email still works chicagostoryline@gmail.com. I think we should fill out this group form? https://docs.google.com/forms/d/e/1FAIpQLSc2VEq750--hAayFUoBs3X_LCK0Zkm_Q-o5-A-Vox-jmsYSiw/viewform. I'm going to to see what happens? :-) I wonder if anyone will join in this feed? Hello - I didn't want to join up with someone to recreate a group if we have one here in Chicago. I filled out the form in the hopes to be a part of a Chicago Group. I noticed there appeared to be a group started by Mary W. The evite link does not link to anywhere. Was there a group ever organized for the Midwest-Chicago? I would love to participate! The Chicago group met once, over a year ago. We haven't had any traction yet. I'd be interested in meeting. Maybe we could try the group again? Love it! Please do fill out our interest survey if you haven't already: https://docs.google.com/a/articulate.com/forms/d/1sYm-G8b39Psi5zdjFCfeVaZWWALXmL9EY_Ax0CJwYHk/viewform Once there are 10+ folks interested we can connect you all! Atlanta and metro areas next! Robert, if there aren't already users ready to meetup in your area, I'll move up there and start a group myself:-) Seriously, we have a good group of fans in Portland. Can you add your deets to our Google form so we can start connecting everyone in your area? I'm in for Portland and know of others who would probably want to join too! Hey Jennifer, maybe we should meet for coffee and discuss this? I live in Beaverton, just about a mile from the Nike HQ. Let me know how to reach out to you and we can setup a time if you are interested. I would love to get a group together here in Oregon. I'm in Portland also. I've filled out the form and would like to meet up. Hey Alyssa! Houston is a big city for Articulate fans:-) Can you add your name to our Google form: https://docs.google.com/forms/d/1sYm-G8b39Psi5zdjFCfeVaZWWALXmL9EY_Ax0CJwYHk/viewform I know there are plenty of local users in and around downtown Houston. I've added my name to the Google Form for Houston, TX. Hope it happens! Glad to see a few other Articulators around Houston... Thank you! Hi Katherine! Please add your name to our user group interest survey: https://docs.google.com/a/articulate.com/forms/d/1sYm-G8b39Psi5zdjFCfeVaZWWALXmL9EY_Ax0CJwYHk/viewform Once we get a group of interested folks in your area, we'll connect you. Thanks so much for your interest! Do You have any plans to organise such event in India? Hi Parashuram! You can start a group anywhere! Can you add your city or cities where you'd like to connect? Once we receive 10 people in your area, we'll connect all of you so you can plan your meetups. Thanks! Thanks David, and Kelly. Will do the needful. Also I know few people on the community who are from my city will ask them to join here. Hello David and all, I am watching great activity in local groups across the community. I too created Linkedin group to connect with other SL users, below is the link. https://www.linkedin.com/grp/home?gid=6980080 We are now 25+ members in it. I know there are still many people from India and not connected. Atlanta area would definitely be nice! Hi Kathy - I think we have a good number of folks in the Atlanta area. Have you already added your info to our Google form: https://docs.google.com/forms/d/1sYm-G8b39Psi5zdjFCfeVaZWWALXmL9EY_Ax0CJwYHk/viewform That will help us identify users in your area so we can connect everyone. Thanks David! I will add my info to the form. This is great! Prescott/Quad-City, Sedona, Flagstaff -- Northern Arizona -- is my area. Comment or PM me if you're interested. Hey Jenise - If you haven't already, can you add your info to this Google Form: https://docs.google.com/forms/d/1sYm-G8b39Psi5zdjFCfeVaZWWALXmL9EY_Ax0CJwYHk/viewform Once we get 10 people in an area, we'll connect everyone so they can plan out their event. I can keep an eye on it for sure. I get that some areas may not have as many users. Some users last night suggested using http://www.meetup.com/ to promote user groups. Evidently that's a really active way to reach people. We may give it a try for the next meeting up in August. A group in an area could use the Meetup site to organize a group and list online event info including a link to the webinar application where people will meet online for an event (presentation on a topic, a demo on a aspect of one of the applications, etc.). Hi Joanne! It sounds like you're subscribed to the comments on this thread. You can stop getting those emails by clicking here and then clicking on the top right where it says "Subscribed": https://community.articulate.com/articles/boost-your-skills-and-connect-with-e-learning-heroes-in-your-town Unfortunately we don't have a way to filter the comments so that you can select what you receive. Also just a quick note- when you reply via email to comments your signature is appended! You can click on the link also to edit your comment and remove your email signature. Kelly, I have set up Chicago Storyline E-Learning Heros on Facebook. Boston Ma! Very new to this space and would love to network & learn! Hopkinton MA - I would definitely be interested in a Boston User Group. Has anyone started one yet? I've been having a hard time finding any networking or meet up events in Boston. If anyone knows of any, please let me know! Even just a linked in group or facebook group would be helpful. Maybe we could work towards planning something in the future. I'm in Grafton and would be interested as well. You know let me know if there is any group here in Brazil? Hi Pedro! We've been keeping this digest updated as folks let us know about new groups, so definitely keep your eyes peeled. In the meantime please do fill out our survey if you haven't already: https://docs.google.com/a/articulate.com/forms/d/1sYm-G8b39Psi5zdjFCfeVaZWWALXmL9EY_Ax0CJwYHk/viewform We're connecting interested folks all over the world and this is how we're keeping track. Hey Lauren, that makes at least two of us in the Virginia Beach area. Hi Jean! Please do fill out our survey if you haven't already: https://docs.google.com/forms/d/1sYm-G8b39Psi5zdjFCfeVaZWWALXmL9EY_Ax0CJwYHk/viewform This is how we're connecting interested folks. I'm sure we've got some other NYC folks out there! NYC would be the closest for me. I would even go for Philadelphia, Baltimore or Washington D.C .... something in the North East close to the metro area. Anybody in Cincinnati want to connect??? ?